If you currently reside in the South Lyon area of Michigan, and are searching for a limo bus, then rest assured that you have indeed finally found what you have been looking for. When you are looking for such a vehicle, it makes sense that you will be concerned as to whether or not it can come up to the standards that you would expect as you certainly do not want your guests to feel let down by your booking. Thankfully, you no longer have to worry about any of those things. Instead, by simply getting in touch with us, you will discover that not only can we provide you with exactly what you have been looking for, but our level of customer service goes above and beyond what you may have been expecting. So, what can you expect from our limo bus? Well, first of all, there is the space that is available, and we have sought to design the bus in such a way so as we can make the best possible use of the space available. After all, we want you to be able to invite as many guests as possible to your event, and you certainly do not want people to feel as if they have been crammed into the limo bus either. Aside from the interior, there is also the comfort and entertainment, and you are also not going to be let down in that area either. From luxurious leather seats to provide you with that comfort, to the amazing sound system that you should really be expecting from this kind of experience. That is why we have made sure that there is a state of the art sound system that will blast that music throughout the bus and just take the atmosphere up to a whole other level. Of course, you also have your own personal driver at hand as well, and they will go out of their way to make sure that everyone on the bus is able to have a wonderful time. Furthermore, this applies no matter the reason for the celebration as, for us, that in itself is not important. Previously, we have handled birthday parties, anniversaries, bachelor and bachelorette parties, the list goes on and on. However, we treat each party as an individual leading to us making sure that people are going to enjoy their time on board as that is the absolute key. 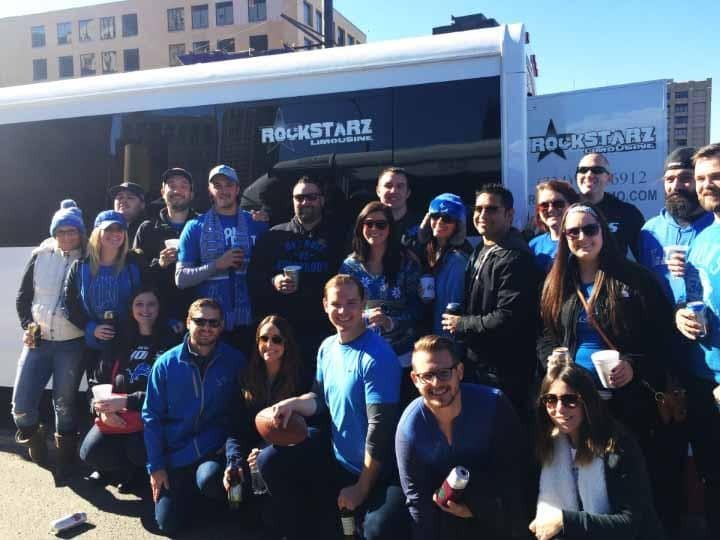 Ultimately, if you reside in the South Lyon area of Michigan and are requiring a limo bus for any reason whatsoever, then make your life a whole lot easier by going ahead and getting in touch with us. After doing so, we will work closely with you to make sure that we are able to deliver exactly what you need for your time in our company. Overall, we are certain that not only will we deliver, but both you and all of your guests are going to enjoy every single minute in our company.